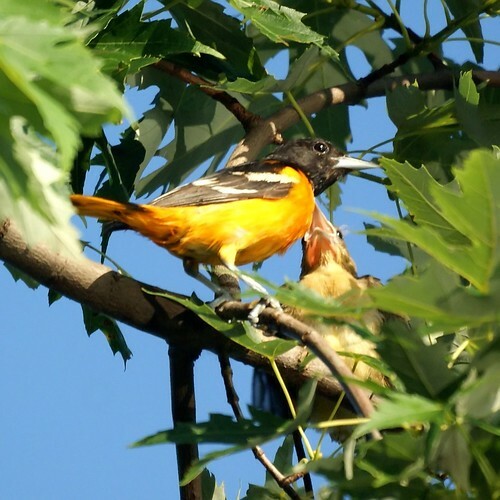 Last year, we had a Baltimore oriole nest in the yard but never saw the baby birds. 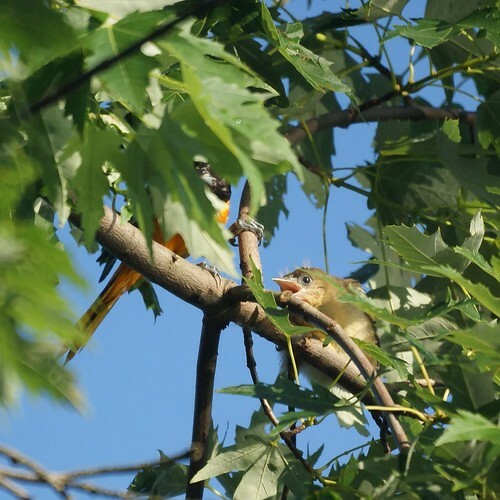 We've been watching and waiting and finally saw a baby out of the nest being fed. 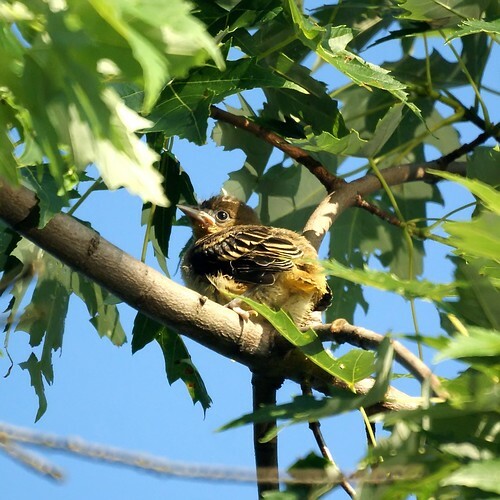 There are at least two and we'll be monitoring nervously because the nest hangs over the water and the babies are hopping between branches but can't fly yet.